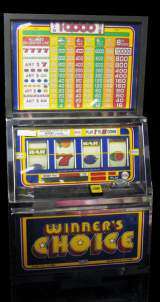 A Slot Machine by Sigma Game, Inc. Winner's Choice [4-Reel model] © 19?? Sigma Game, Incorporated.